Waking up in the middle of the night - What to do? This happened to you before, hasn’t it? You were tired during the day, went to bed earlier, hopping to get a good night’s sleep. And after two hours or so, you start waking up in the middle of the night. After a while you are fully alarmed, eyes wide open, as awake as you can be. You are desperately trying to fall asleep, keep calming your mind from wandering around, hoping that you will drift away and start dreaming after a couple of minutes. But, somehow, you are getting even more awake, and it soon becomes clear to you that you will have trouble falling asleep again. At least for me it does. I’ve been in this situation so many times, I’ve lost count. You wake up in the middle of the night – so what do you usually do? It strikes as an interesting coincidence that many people wake up in the middle of the night even after being exhausted during the day. What I’ve noticed is that after not sleeping for a long period of time people start waking up in the middle of the night no matter how much tired they were. The explanation I guess is due to entering the REM phase way too early in the sleep cycle, mostly because the body and mind feel exhausted and decide to skip the NREM phases. That’s why you wake up in the middle of the night, still feeling tired, but your mind is more rested than ever, wandering from one place to another. The first response is the same with everyone out there. We try falling asleep again. And after this proves to be harder than we anticipated, we just lay there thinking and letting our mind, which now seems to be fully rested, wander around. We reminisce about the past, play future scenarios in our head, often getting our mind stacked with trivial matters. You feel like there is nothing left to think about any more, and it gets to the point where you find it hard to remember in retrospect what you were thinking about five minutes ago. This turns out to be an endless chase around the maypole, and you are confused about what to do next. 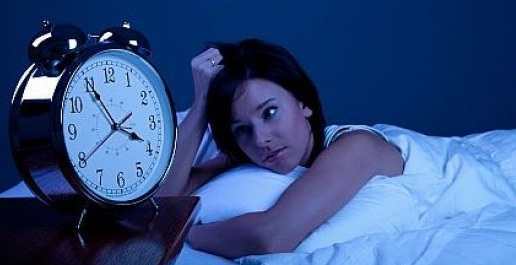 Waking up in the middle of the night – What can you do if you can’t sleep? After just waking up in the middle of the night and realizing that I will spend hours before I fall asleep again, I’m now sitting at my desk, starring at the laptop screen, writing this post. It’s 3 o’clock now, so I guess I will finish it and go to bed. This however is after being fully awake, laying around and thinking about it while desperately trying to fall asleep again. Thinking about it I came up with couple of things you can try if you keep waking up in the middle of the night. What can you do if you can’t sleep? Go and sit in solitude for some time, trying to rest your mind. Chances are that the change of body position and place will affect you in the way you will get more relaxed and have your mind calmed. Do not turn on the light of course, since then you will confuse the body endocrine system, which will start to slow the flow of melatonin throughout your organism. Whether this is in the backyard, or down the hall to the lobby, you will find your mind more calmed. I usually try this from time to time, since I love how the solitude of the night positively affects my state of mind. My neighborhood is mostly quiet, so I chose going out to the street for a short walk. Sometimes I even bug the dog by waking him up and telling him we are going for a walk. And since he is always in the mood for a walk, and being a Siberian husky loves the chill of the night, nine out of ten I take him with me. Today however he didn’t notice me getting up, so I decided against waking him up and depriving him of his sleep too. And I started typing. Now I feel like falling asleep a little bit, but alas, I’m going to finish this post. Sure, you can go and turn on the TV if that suits you, but there is a good reason why you should do something else instead, something that requires some mental effort, something that requires that creative spark to ignite your creativity. The reason I suggest this is because your mind is clearly rested, and instead of letting it wander without restrain, you can try and give it a direction. Besides, the solitude of the night is something that gives you inspiration and starts your creativity just by itself. For example find some book to read. IF you want to fully understand the way the sleeping process works and familiarize yourself with the sleeping disorders, you can easily find some book about it. Some people even go not sleeping through the night, just to be able to reach higher level of creativity, different state of mind. For you, waking up in the middle of the night may just as well serve as the perfect excuse. I started typing half an hour ago, and the post almost writes itself. Now that’s what I call creative momentum. Before I used to write I was playing the violin, and you can probably guess that I was not able to practice during the night as I’m being able to write now. So if your work and creative process is something you can do without disturbing others, than by all means give it a try. It frees you in a way, to be able to express your thoughts and creativity, that is. This is not something that you should embark upon in the middle of the night, but make sure to sit down and give it a thought the day after. What might be the reason for waking up in the middle of the night? Perhaps it’s the mattress that is giving you some trouble. Or maybe the blanket, your clothes, and the sheets that prevent breathing, thus increasing your temperature build up to the point where you wake up. Or, perhaps, it might be your health and physical shape. If you are overweight, chances are that sleeping problems will come in one form or another. Therefore, learn how to lose abdominal fat, and make sure to follow a clean and balanced diet. Binge eating an hour or two before you go to bed can definitely wake you up in the middle of the night. Waking up in the middle of the night may not be as dull as it was for you anymore. If you keep waking up in the middle of the night, you may try to implement these things I mentioned above, and for once escape the mental struggle you are about to have trying to fall asleep.You will balance your sleeping schedule in no time if you go with these things over staying in bed and rolling back and forth. But even if not, you will find waking up in the middle of the night not to be something dreadful any more. 13 opinions already. What's yours? You wrote this post for us in the middle of night, so how would we ignore it:P. These are nice tips. I do not wake up in the middle of night, but I know someone who has the habit of waking up in the middle of night. Your tips is helpful for him. Thanks Ehsan. Always glad to hear from you. It’s all trying, but these tips should prove quite helpful. Have a great day my friend. Sometimes I get quite overwhelmed by all the things I came up with when awake and unable to sleep. I guess the solitude of the night is affecting some people in a great way. Your idea of having something to capture those thoughts is sound, since I don’t know how many times I was thinking “man, I know I had a great idea last night, if I can only remember”. I think it’s kind of funny that you write about this topic. It’s a familiar problem to me. Somehow I think that my mind starts to think on its own in the middle of the night. Getting up and sitting down on a quite place with a nice view outside helps me to calm down my mind. Another option that is mostly helpful for me, is NOT to try to fall asleep again. Just lie down in a comfortable and relaxed position and DON’T think about it. My only thought is that somewhen I will fall asleep again. This takes the pressure which is rather counterproductive. For me this works very well. You are right Carsten, solitude and a nice view helps a lot. Sometimes I go watering the grass- it frees my mind completely. What you say about not trying to fall asleep again is completely true. The pressure, and I’m not trying to label it, is there in a way, so it’s definitely counterproductive as you say. Thank u very much for ur tips I have the same problem and ur tips are helpful for me. Wow this was right on spot! It has been christmas vacation now, and I never turned the laptop off until 4-4:30 @ night. This night (It’s 03:51 now and I woke up 2:00) I went to bed before 23:00, so it’s clearly that this was the problem. And like u mentioned: I have been thinking about the past and the future. A little weird since I’m “only” 16. Thank you! This describes exactly what I experience! You say “Do not turn on the light of course”, but after you suggest to read a book. Do you have any suggestion for the light we might use to make sure our body’s endocrine system is not confused? I know this is an old article but I felt compelled to react. I am also writing this while I am awake, because I woke up at 12:40 am. I’m stressed out because of my thesis. I awoke with a pounding hearr and a feeling of impending doom. After watching some netflix I googled something about waking up at night and found your post. While reading I thought of a research done by J.D. Moyer. He had a test group live without artificial lighting. After two weeks of longer sleep than they usually had they started waking up at night. And they stayed awake for a couple of hours and went back to sleep again after that. It seemed as though the participants went back to an earlier way of sleeping. Maybe this is linked to waking up at night. And maybe even to my kind of waking up, stressed and all. Although the participants woke up rested after four hours stayed up two hours in a kind of inbetween sleep and waking state and slept for four hours again. What do you make of this? Kind regards, Jozina. I am a kid and have woken up at 12:20 on Christmas Eve. It is already 1:47. I would feel dishonest about getting up and doing these things. What do I do?